Di Ford is back and this time around, she is here to tell you the story of fabrics! 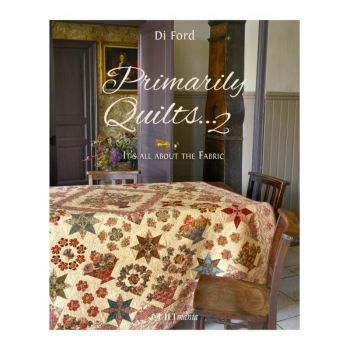 Learn how Di chooses and uses fabrics in order to embellish her quilts. Enhance the character and grandeur of your quilts with the help of Di’s 14 new and magnificent quilts!Fussy cutting, appliqué, English paper piecing and Broderie Perse, all of Di’s favorite techniques, are also explained in a handy technical chapter.From Quiltmania, with text in both English and French.